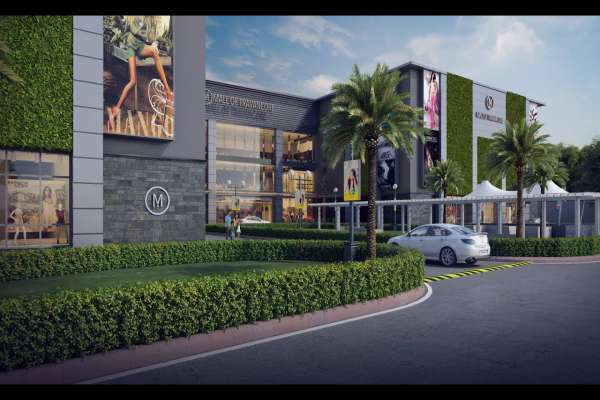 Mall of Travancore, a first-of-its-kind venture by Malabar Group introduces a complete mall experience to the capital city. Situated at NH bypass, Chakkai Junction, it is located right next to the international airport. Spread across 7 acres and a built up area of close to 7 lakh sq ft, the mall will have more than 300 brands in over 150 stores. There are 7 multiplex theaters, Playaza ? a 15,000 sq ft play area with 11 indoor rides, 9D theaters and 60+ video game kiosks. An open area of 50 000 sq ft is designed for entertainment. Visitors can also enjoy an outdoor market for fresh fruit, vegetables and other items. The mall is open in the mornings for jogging and walking ? with a 1.5 km track around the mall.